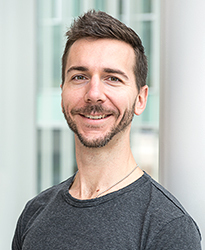 Matthew Schmidt, MA, manages program planning and delivery and curriculum development for UBC Extended Learning language programs. Matthew also manages UBC Extended Learning’s French, Spanish, and American Sign Language Summer Institutes, as well as the bursary program for BC teachers. Matthew brings more than 10 years’ experience in program management and adult education to his role. Before joining UBC Extended Learning, he taught academic writing courses at the former UBC Writing Centre, and for eight years, was an instructor and program coordinator for UBC Explore, a federally funded bursary program. He has taught English and French as a second language courses to adults in Vancouver, and helped elementary school teachers prepare for their English competency exams in France. Fluent in French and Spanish, Matthew has travelled extensively in Latin America. He sees no barriers to multilingualism, and is an advocate for cultural and linguistic immersion experiences and for the mindful use of technology.